Happy fall, everyone! For those of you that don’t know, September is my favorite month of all time – not only is it my birthday month (eek! ), but it also means brand new school supplies and the beginning of fall. I suppose you could say that September is one of my September favorites, haha. Anyway, this past month was quite the eventful one. I started my junior year of college, tried my hand at four different executive board positions, and drank enough caffeine probably for the rest of the year. Regardless, I picked a few great things to highlight this month – hope you enjoy! 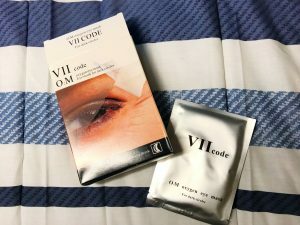 First of all, thank you so much to VIIcode for sending me a box of their eye masks for dark circles! I’ve been wanting to try out eye masks for what seems like forever, and I was so happy to receive the box in the mail. 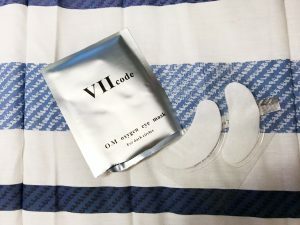 Unlike standard sheet masks, you can wear the eye masks for up to 8 hours overnight to help hydrate your under-eye area and give off a well-rested look. 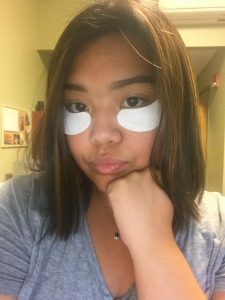 If you know me at all, you know that I am literally the opposite of well-rested, so I was hoping that these masks would help, and they did! s are so dry, but these masks definitely caused an improvement. The masks are a little on the pricier side, but if you’re willing to splurge I would recommend them for sure. Call me basic, but these shoes are literally everything! They are super comfortable, go with all of my outfits, and make me feel effortlessly cool. I purchased these near the end of the summer in a Navy color (so that I can at least convince myself that I’m not basic), and I basically haven’t taken them off since then. 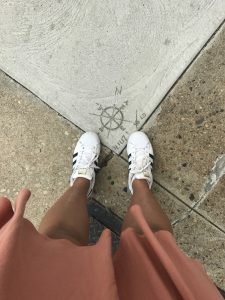 I like to pair my sneakers with a t-shirt and jeans, or sometimes I’ll wear them with a dress when I go out to the city. They are definitely one of my top September favorites, and I am pretty sure I’ll be wearing them for months & months to come. I bought this watch as a present to myself for completing my summer internship. If you know me, I am the worst at accessorizing, but I figured that I needed a watch for functionality purposes. In the past, I always abandoned wearing a watch every day, but this one is an exception to the rule! Because of its simple design, I find myself wearing my watch with all of my outfits, even the most casual one. 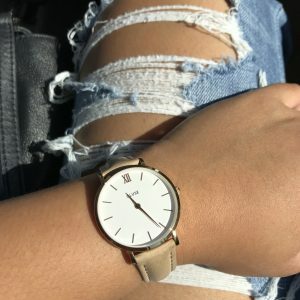 I am hoping to purchase a new band sometime in the future (in black? Maybe pink snakeskin? ), but for now I know that the watch will continue to be a staple in my wardrobe. I saw Flor when they opened for Halsey two years ago at Webster Hall, and they have come so far since then! This album is ethereal and engaging in the most beautiful way. Every song is catchy and has this uplifting vibe that is infused throughout the entire album, and it is basically all I listened to in September. My favorite songs include guarded and overbehind, but like I said, the whole album is worth a listen. To check out more of my September favorites, listen to my Spotify playlist below! These highlighters are so darn pretty! 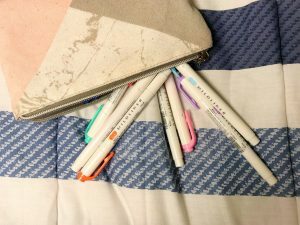 I have developed a pretty specific way of taking notes in classes this year (let me know if you want to see a post on it, wink wink), and these highlighters are essential. They are the least smudge-y highlighters I’ve ever used, and the colors are just gorgeous. I used to hate how harsh yellow highlighters were, which is why I never used them. Now, I’m using oranges and pinks and blues in my notebooks and loving every minute of it. I also use these in my Bullet Journal, and they add such a nice touch to my spreads. If you’re a stationery/pen nerd like me, I highly recommend picking up a pack of these. You won’t regret it! 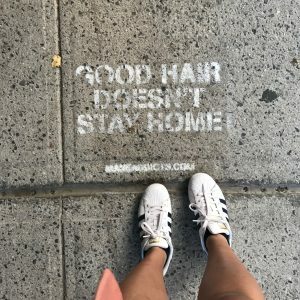 Shameless self-promo? Yes. I have recently gotten into scouring Pinterest for ideas in literally everything. 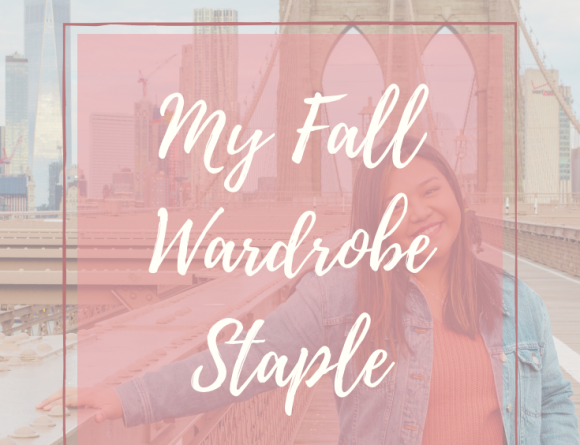 I don’t only use it for promoting my blog, but I also use it to get inspiration for posts, work-wear fashion, and for bullet journal spreads. It’s such a cool website, and I find myself spending way too much of my free time looking at Pinterest. I even got my boyfriend hooked on it! 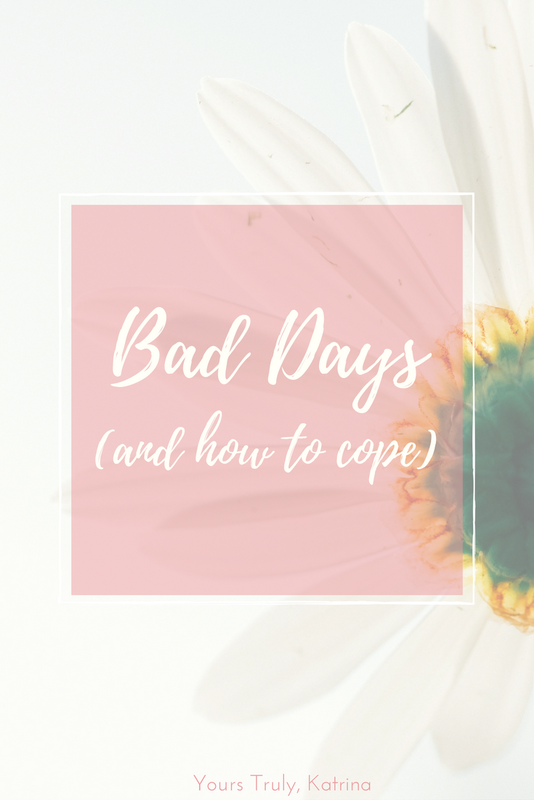 If you haven’t noticed already, I’ve switched to self-hosting! I was tired of using the Blogger platform (sorry, Google. I still love you. 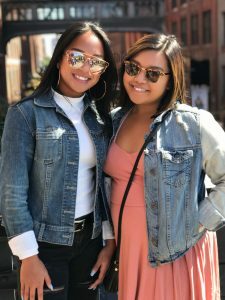 ), so I decided to bite the bullet and switch to WordPress. You best believe that this was an investment, but I think it was such a good decision. I’m really happy with the way my site looks now, and the WordPress dashboard is so much easier to use & write on. If you guys have any advice on widgets to get, let me know! I love playing around with it. If you guys didn’t know, I turned 20 on the very last day of September! It’s weird to think that I’m basically an adult now, but my 20th birthday was a great one for sure. I spent it with my family – we took a trip to the High Line in NYC and walked around for a little bit. It’s one of my favorite places in the city, so it was super special to spend it with the people I love. My sister & I on the High Line! If you guys know me at all, you know that I’m a Dunkin’ Donuts lover. 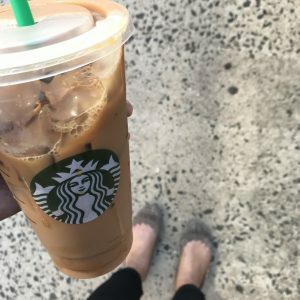 BUT, since Starbucks is a much closer walk than the Dunkin’ near my campus, I have found myself going there regularly this month and LOVING their Pumpkin Spice Iced Coffee. I get mine with skim milk or almond milk if I’m feeling fancy that day, and no sugar at all. So if you guys are in college, you know just how difficult it is to keep up with what’s going on in the outside world. 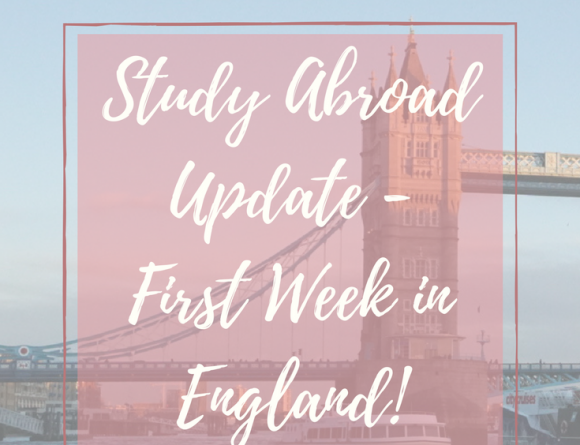 My freshman year, it was like I lived in a bubble – I had no idea what was going on in the news! Enter “The Skimm“. It’s an email round-up of everything that happened in the world the day before, and it’s completely unbiased. I check it every morning before my first class of the day, and it helps me to stay informed. At this age, it’s super important to know what’s going on in the world around us, and The Skimm is perfect for that. 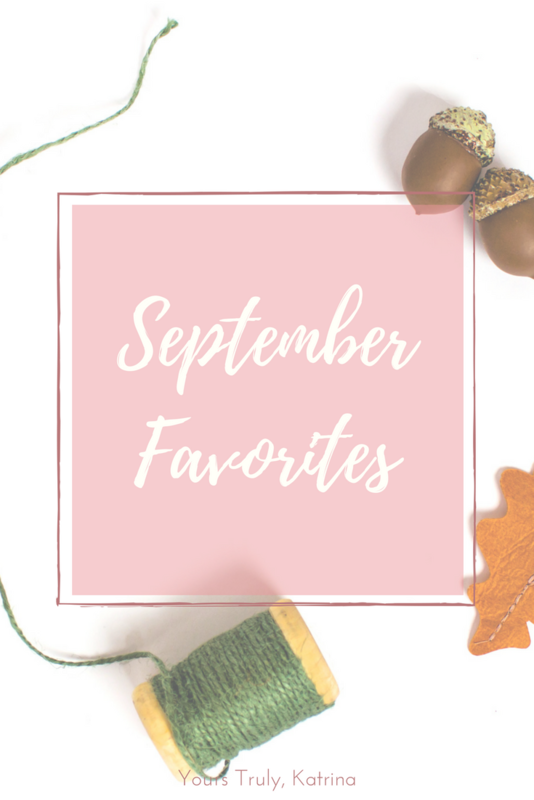 Well, there you have it folks – those are my September Favorites! I think this was actually my longest favorites post ever, which I see as a good thing. I can’t wait to see what October has in store for me and for all of you! What are your September Favorites? Or what are some things you didn’t like?